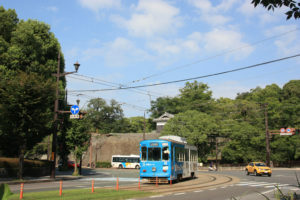 There are two lines ; A line and B line. 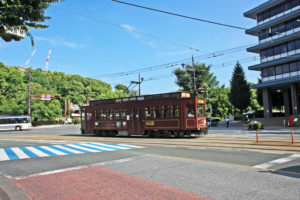 Most of the stops on the A line and B line are the same. 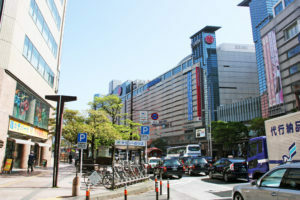 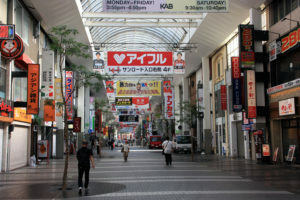 Shopping Street and the Kumamoto Kotsu Centre Bus Station. 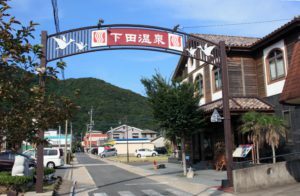 local cousin restaurants opened daytime and nighttime. 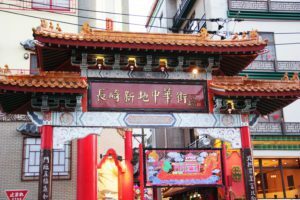 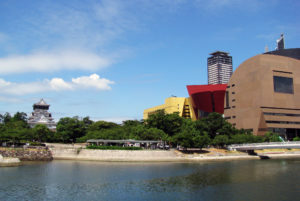 for performances by street musicians and exhibitions of various organizations. 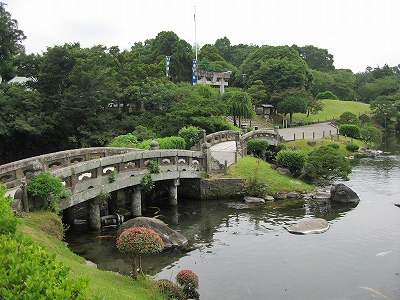 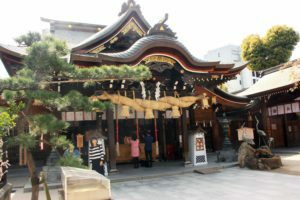 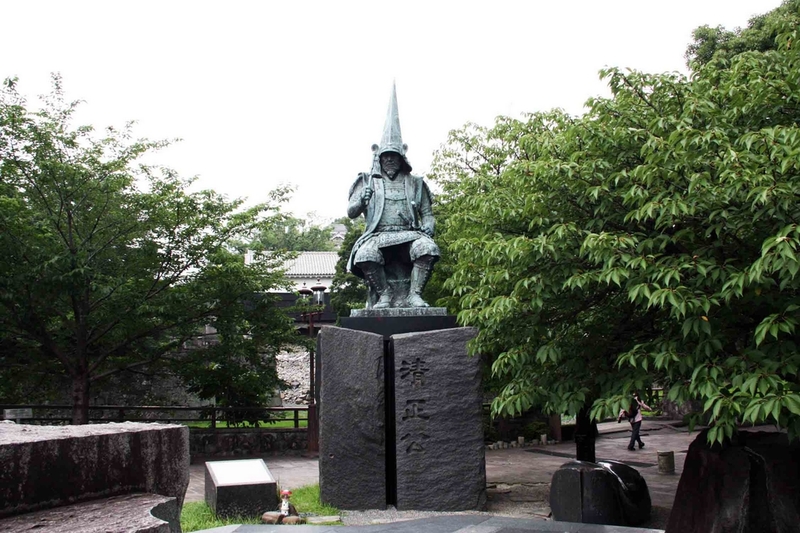 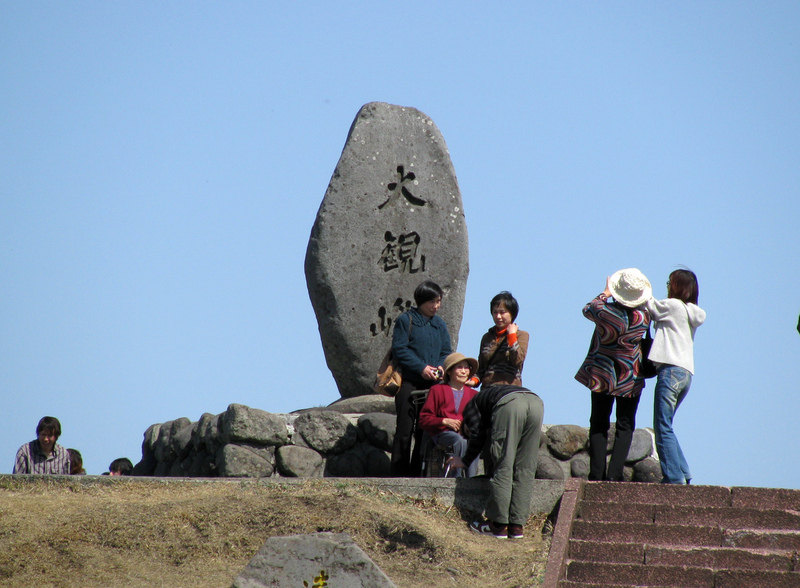 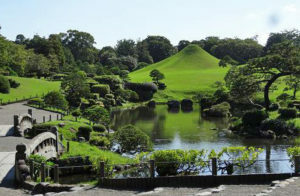 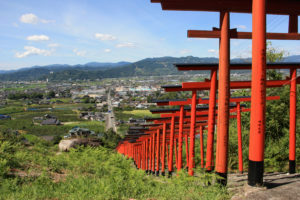 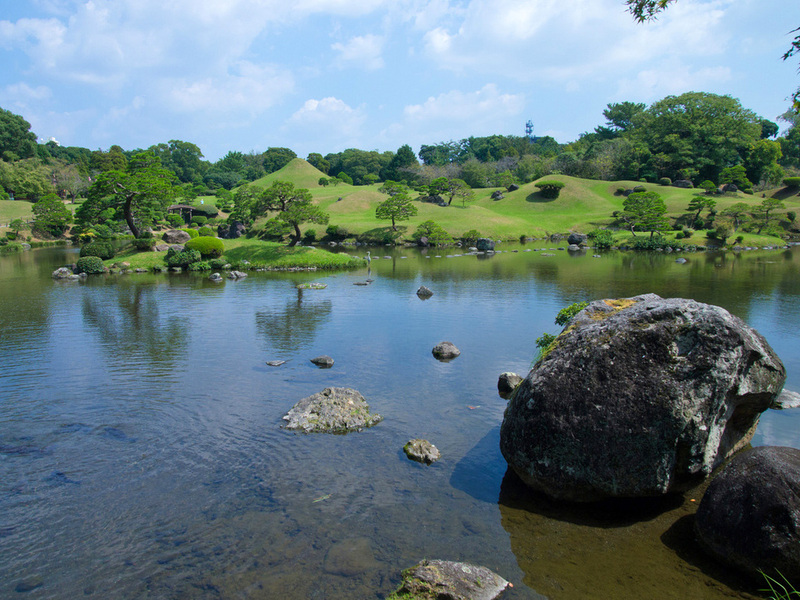 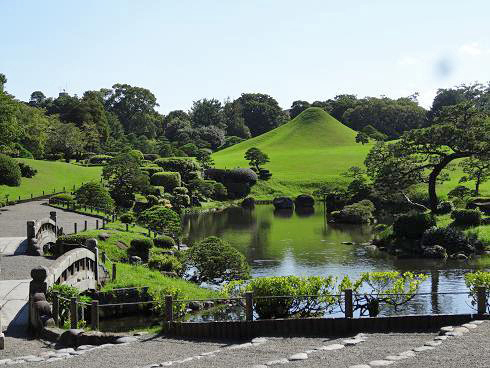 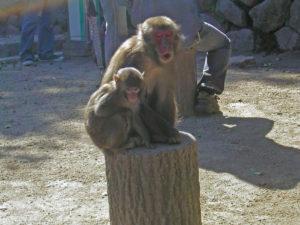 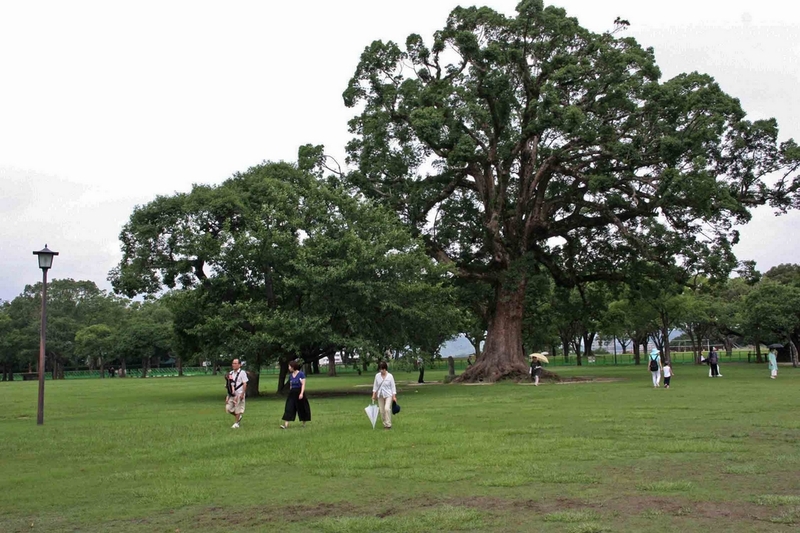 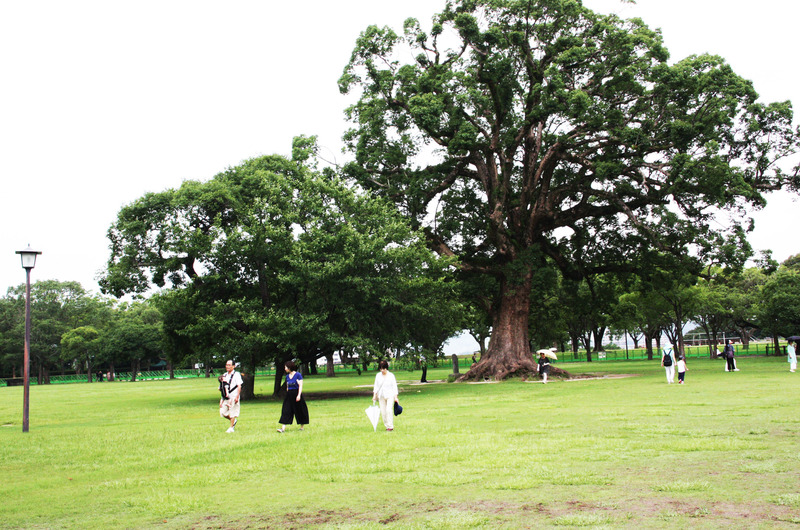 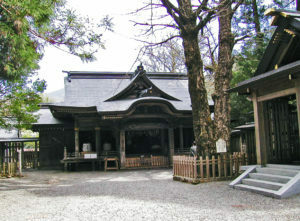 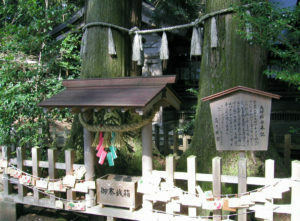 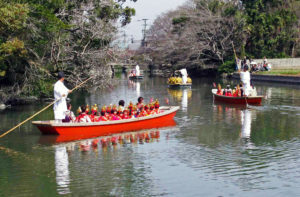 Josaien is located in Sakurano-baba, at the foot of Kumamoto Castle, one of Japan’s three major castles. 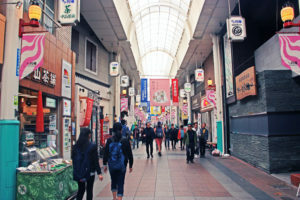 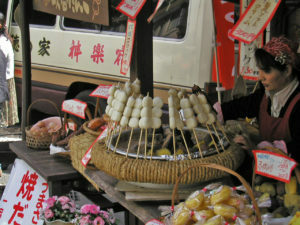 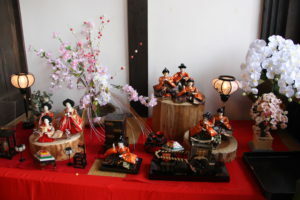 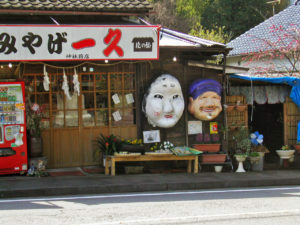 Sakuranokoji brings together 23 shops selling specialty items unique to Kumamoto Prefecture. 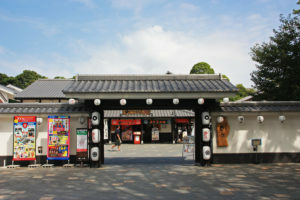 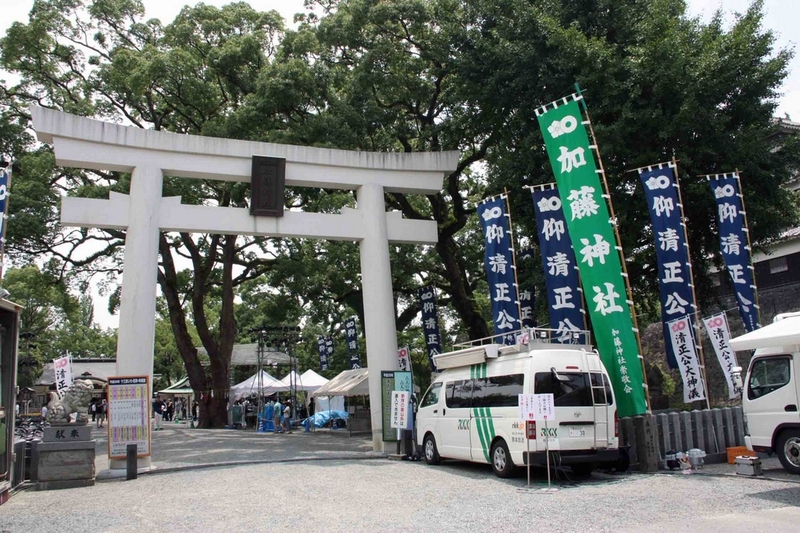 Kumamoto souvenirs as well as items found only at Josaien. 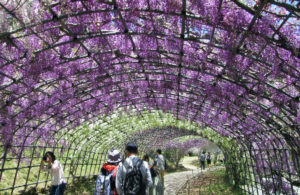 and one of the 100 best places in Japan to view cherry blossoms. 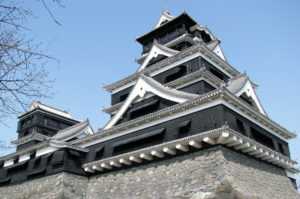 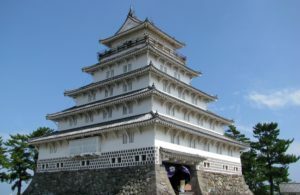 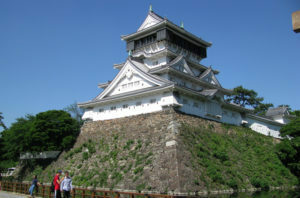 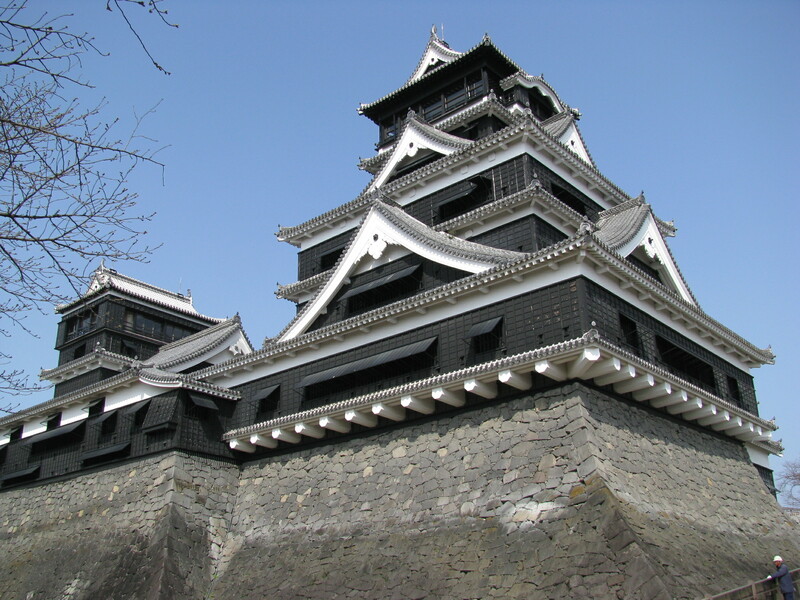 The current castle was built in 1601 by Kiyomasa Kato, a great commander and took 7 years to complete. 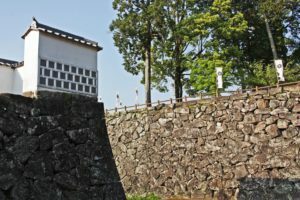 gates, castle gates and long fences. 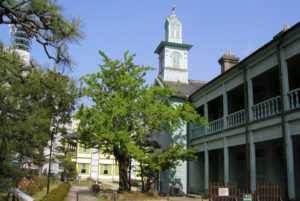 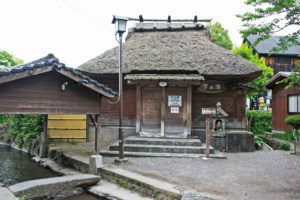 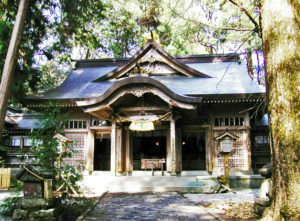 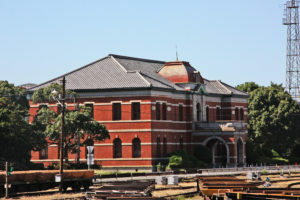 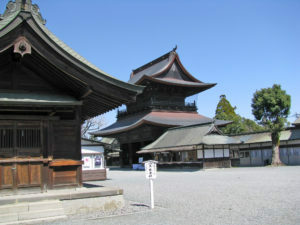 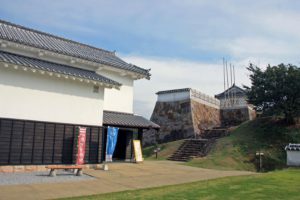 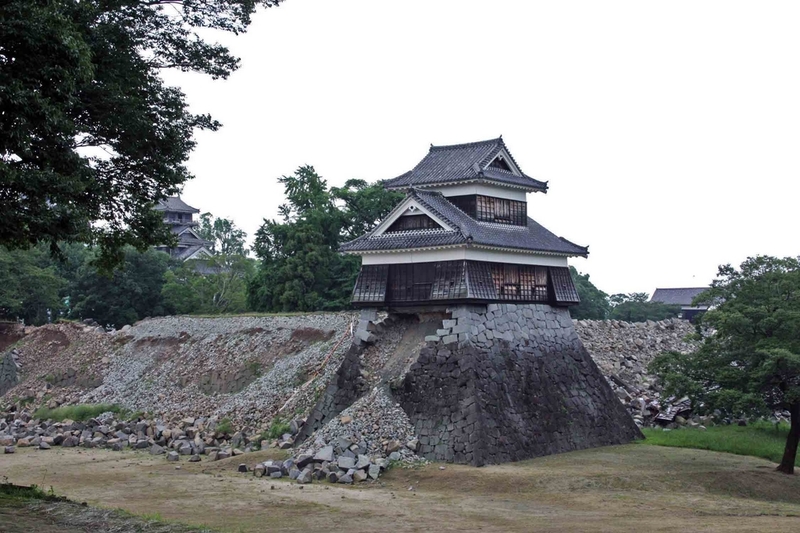 12 buildings in addition to the Uto-yagura turret have been designated National Treasure. 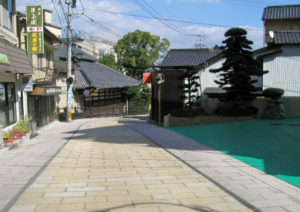 of kawara tiles also fell from the roof. 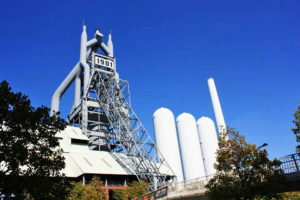 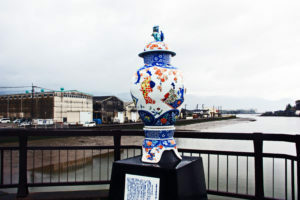 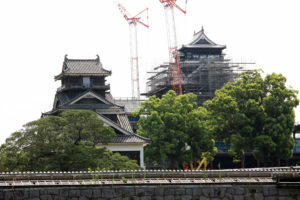 Now the restoration activities are being performed as fast as possible. 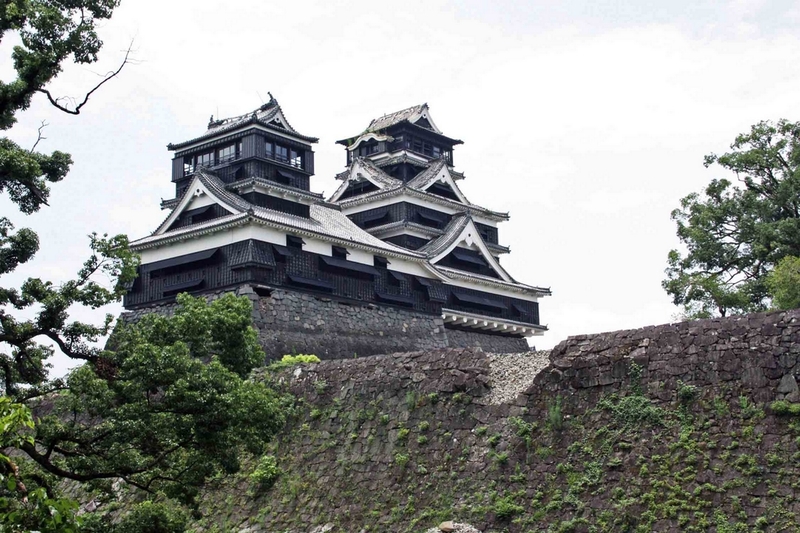 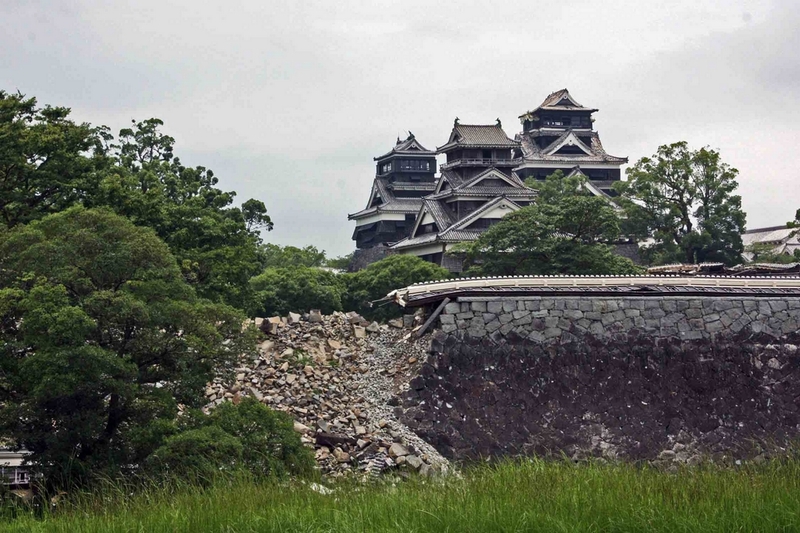 Now, the Kumamoto Castle can be seen from the outside of the moats surrounding the castle. 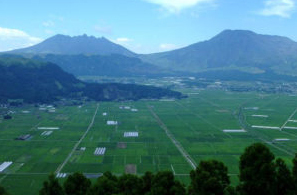 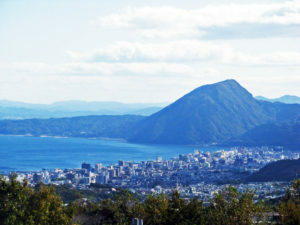 the north, Miyazaki-prefecture to the east, and Kagoshima-prefecture to the south. 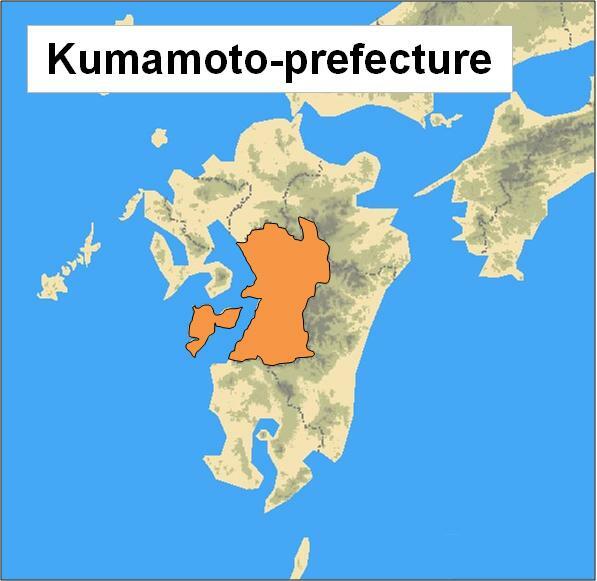 The catital of Kumamoto-prefecture is Kumamoto-city. 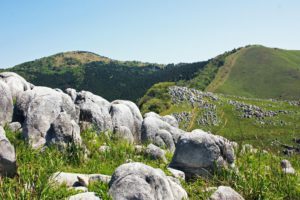 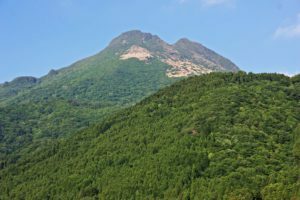 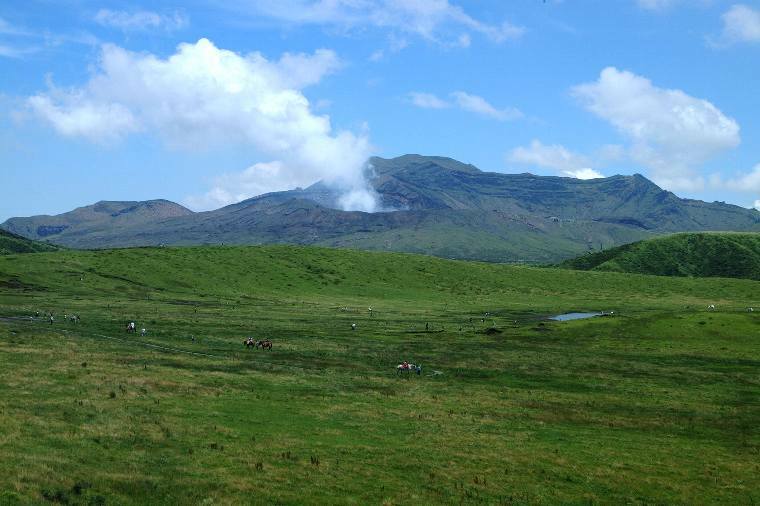 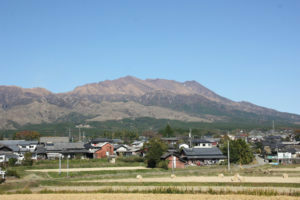 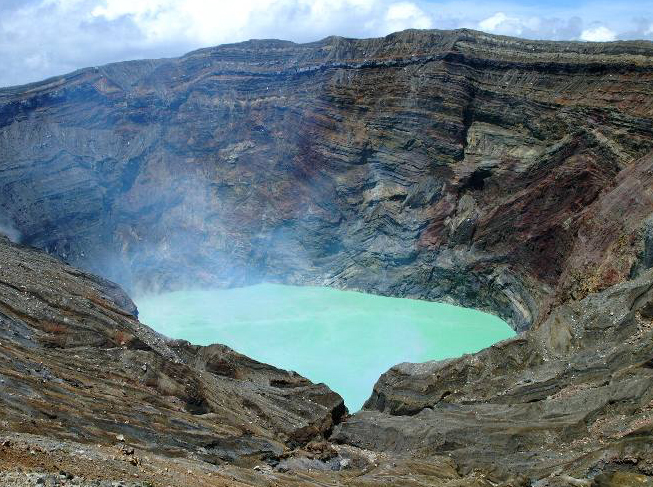 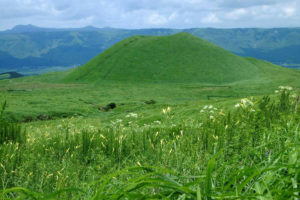 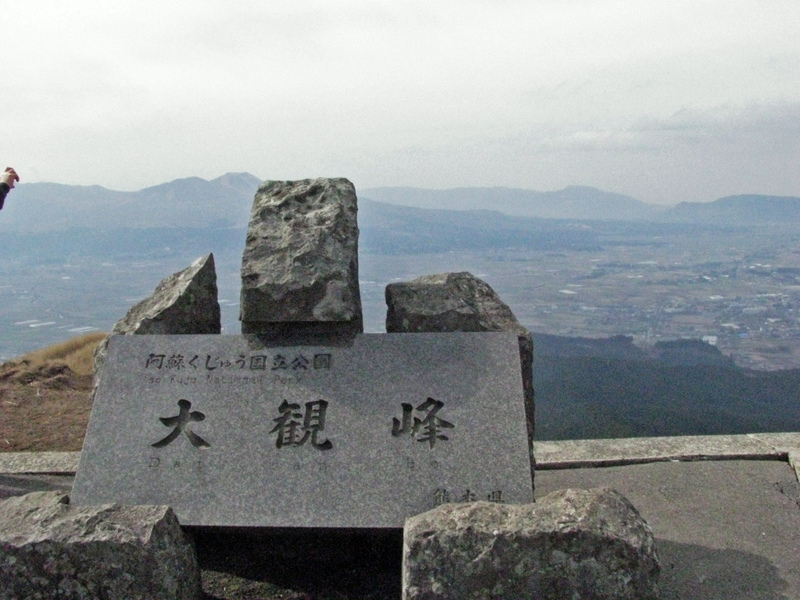 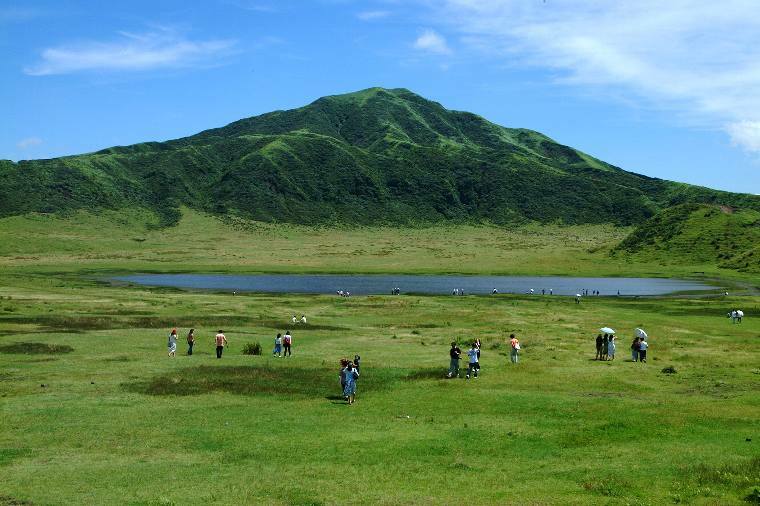 Mount Aso, an extensive active volcano, is in the east of Kumamoto-prefecture. 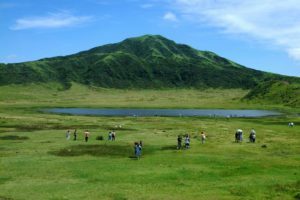 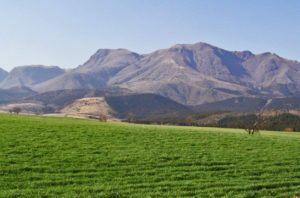 This volcano is located at the center of the Aso caldera. 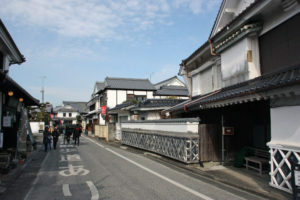 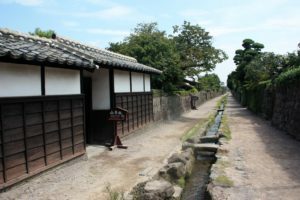 through the downtown area around Kumamoto Castle. 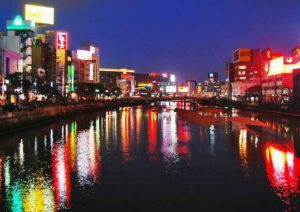 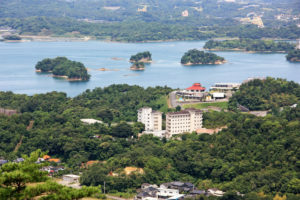 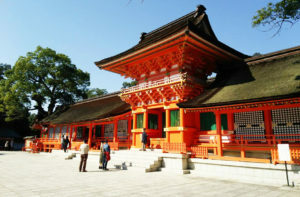 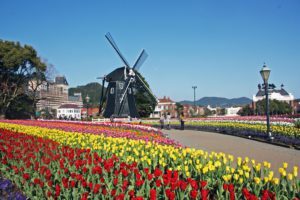 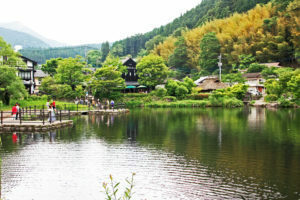 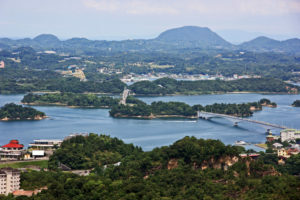 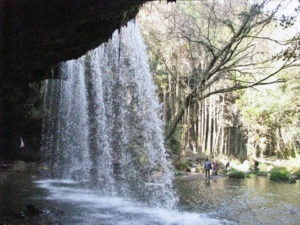 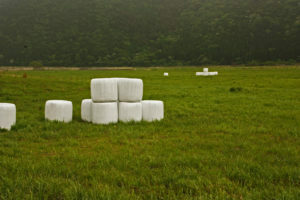 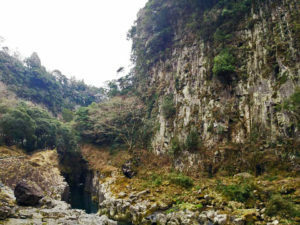 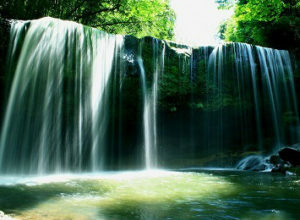 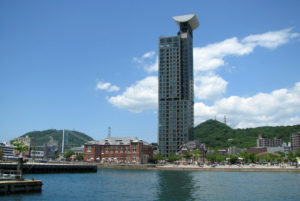 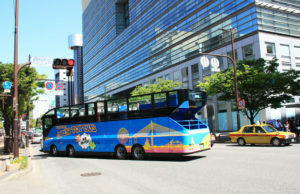 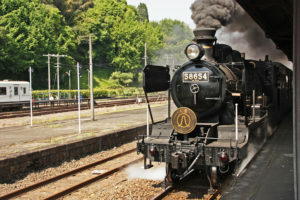 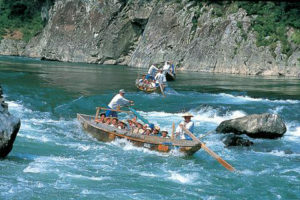 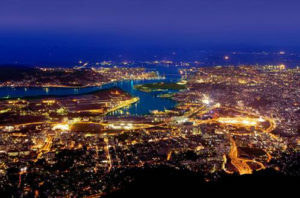 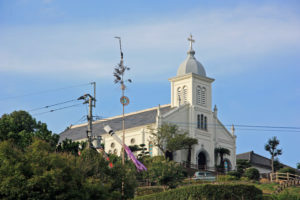 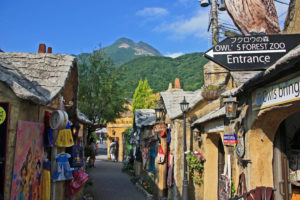 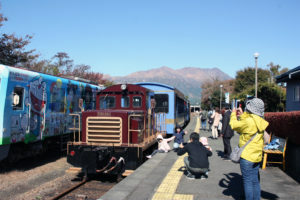 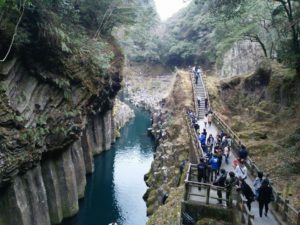 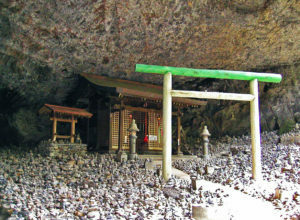 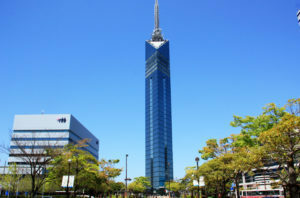 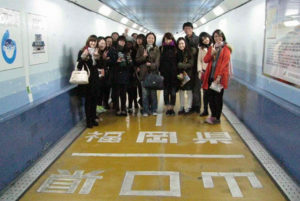 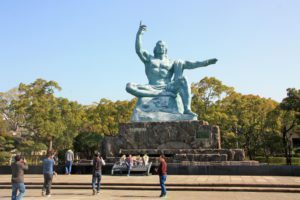 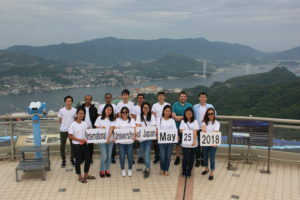 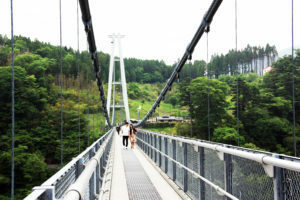 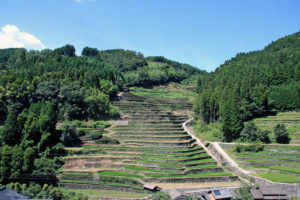 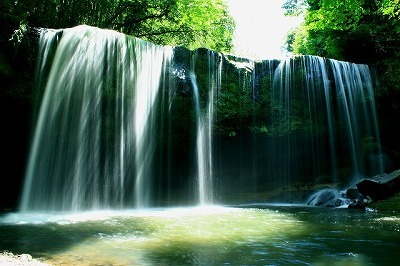 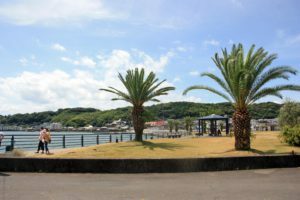 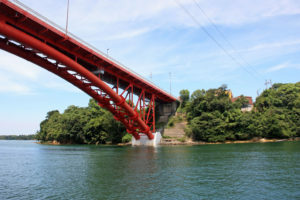 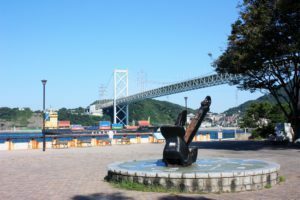 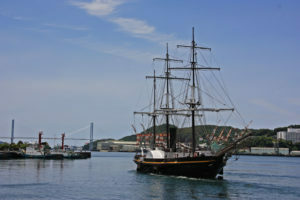 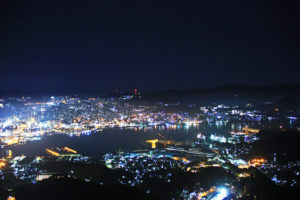 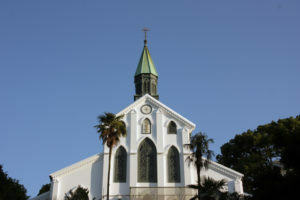 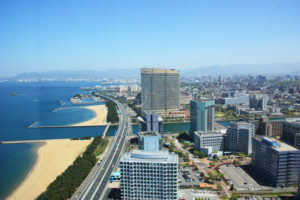 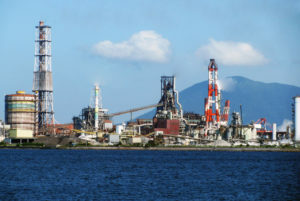 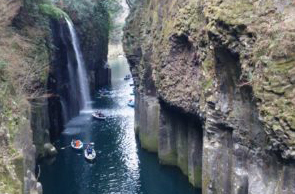 One of the must visit tourist destination in Kyushu. 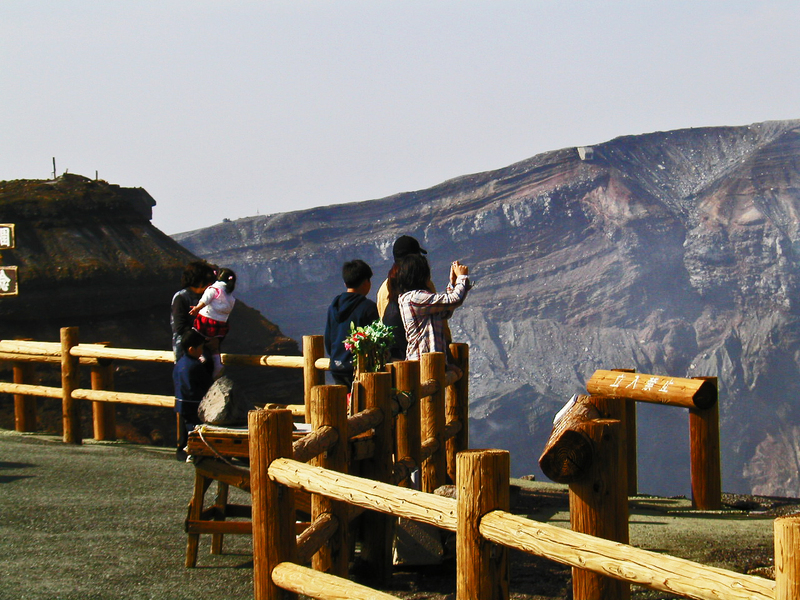 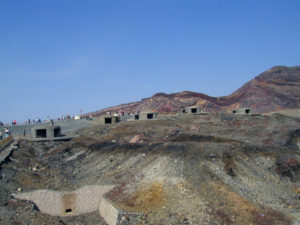 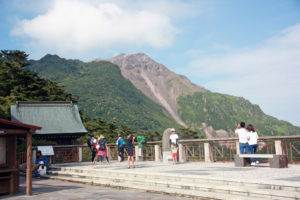 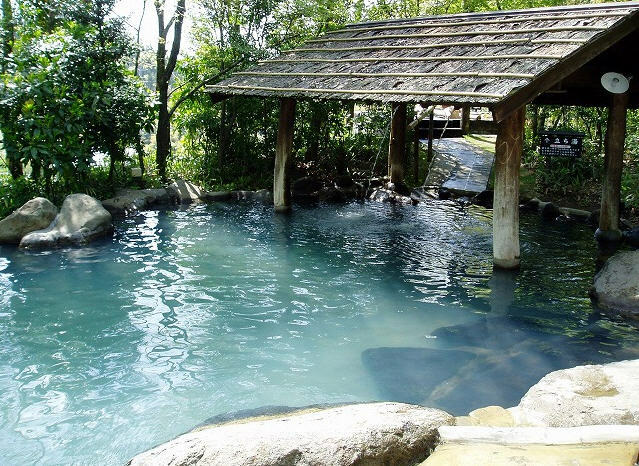 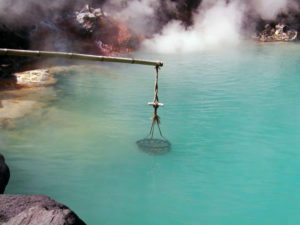 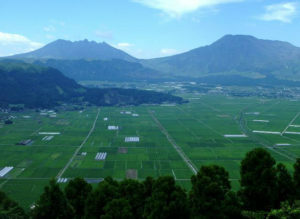 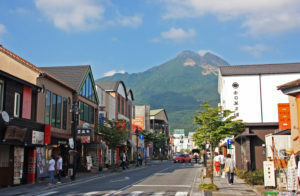 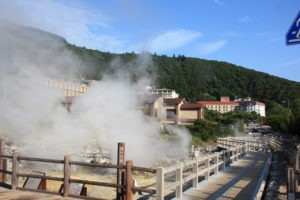 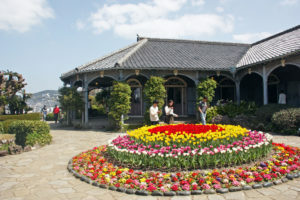 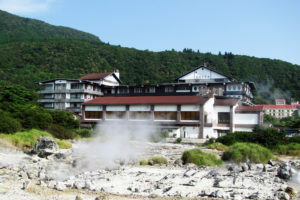 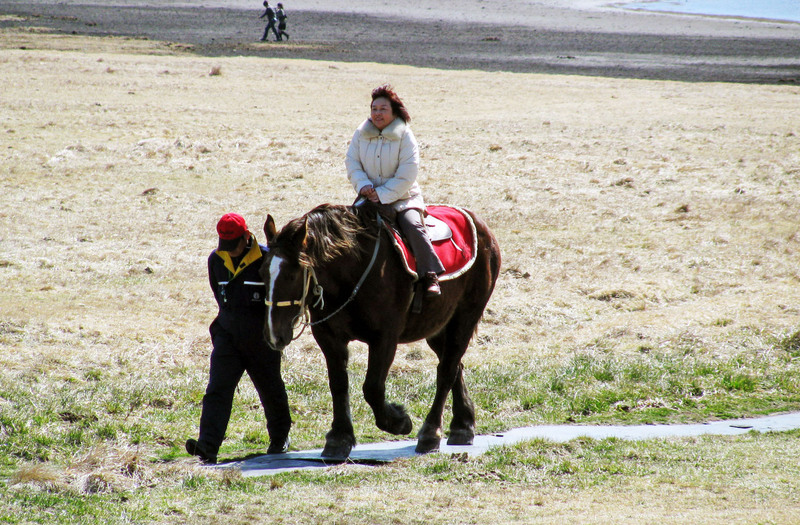 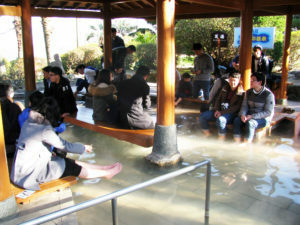 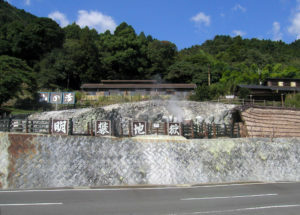 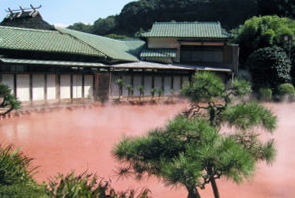 One of the most popular hot spring resort, located on the northern side of Mount Aso . 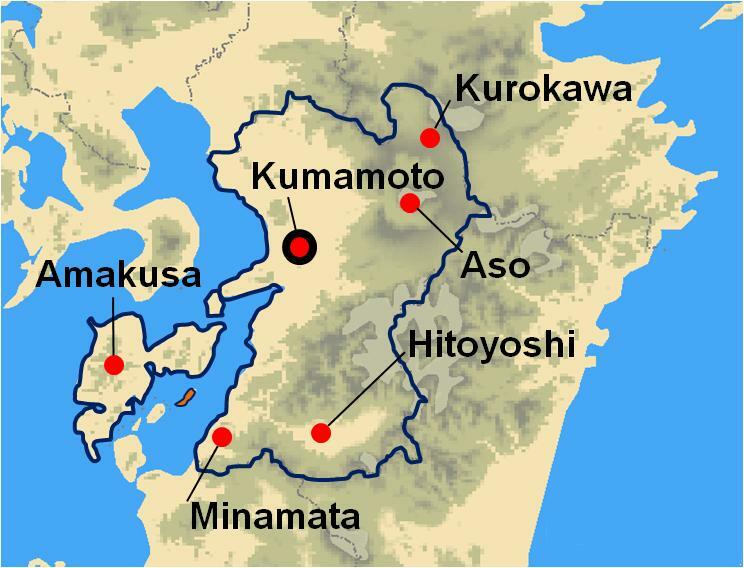 Amakusa and the small islands scattered across the sea. 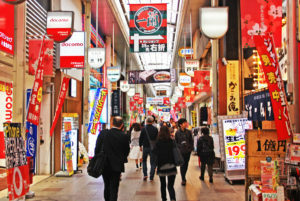 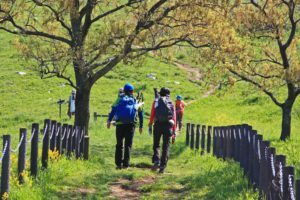 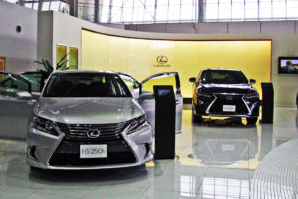 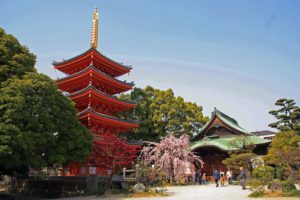 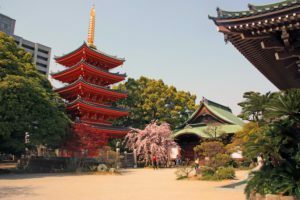 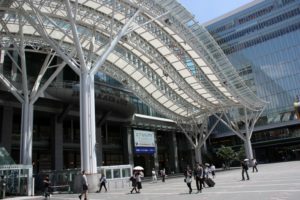 the three fast streams in Japan. 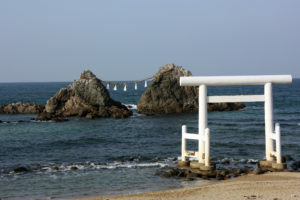 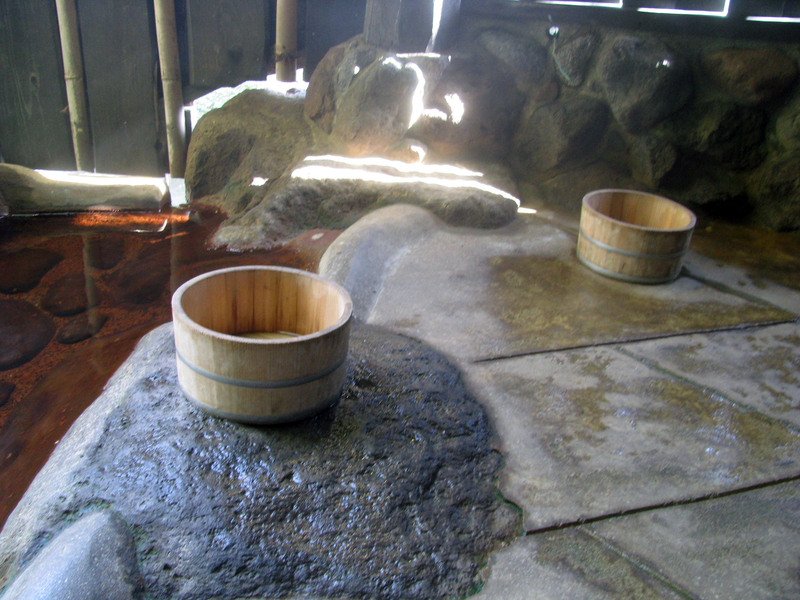 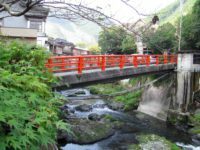 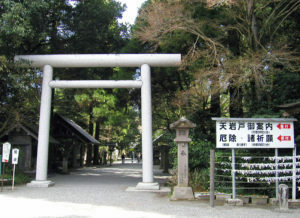 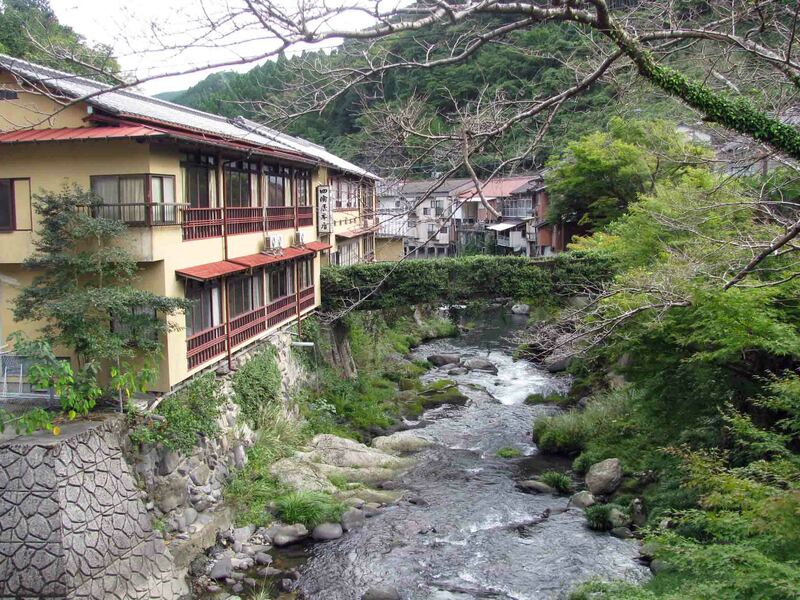 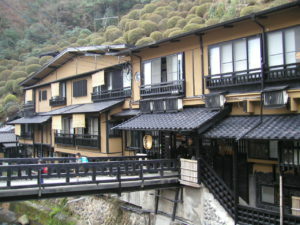 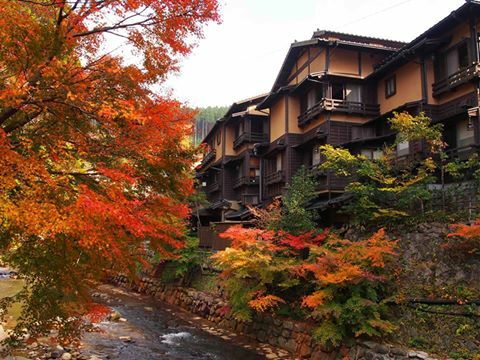 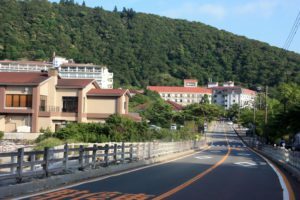 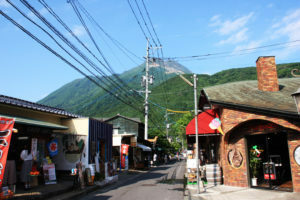 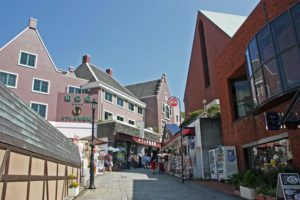 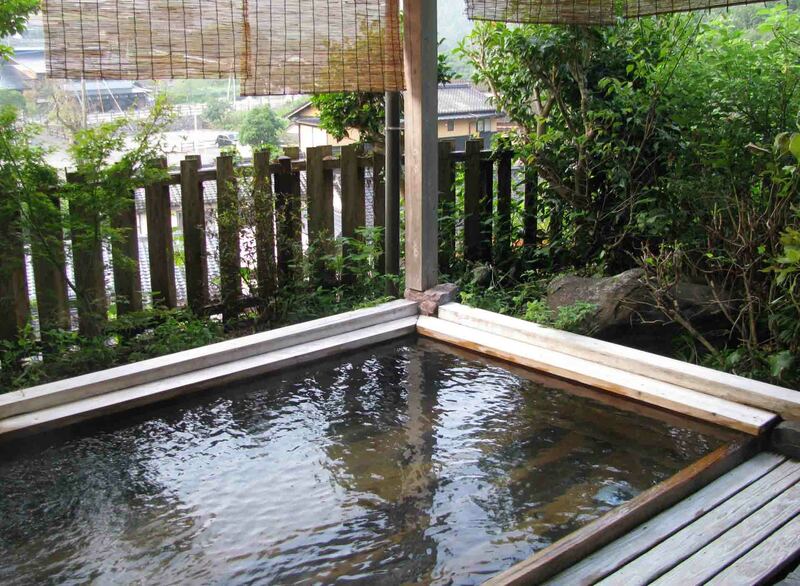 Yunoko Onsen faces Yatsushiro Sea and called Ocean Onsen.